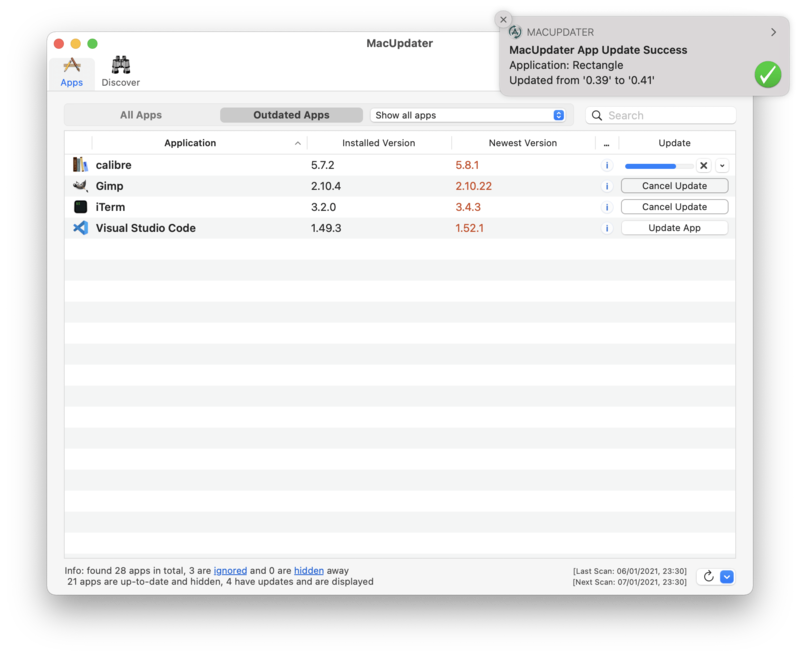 MacUpdater can automatically track the latest updates of all applications installed on your Mac. 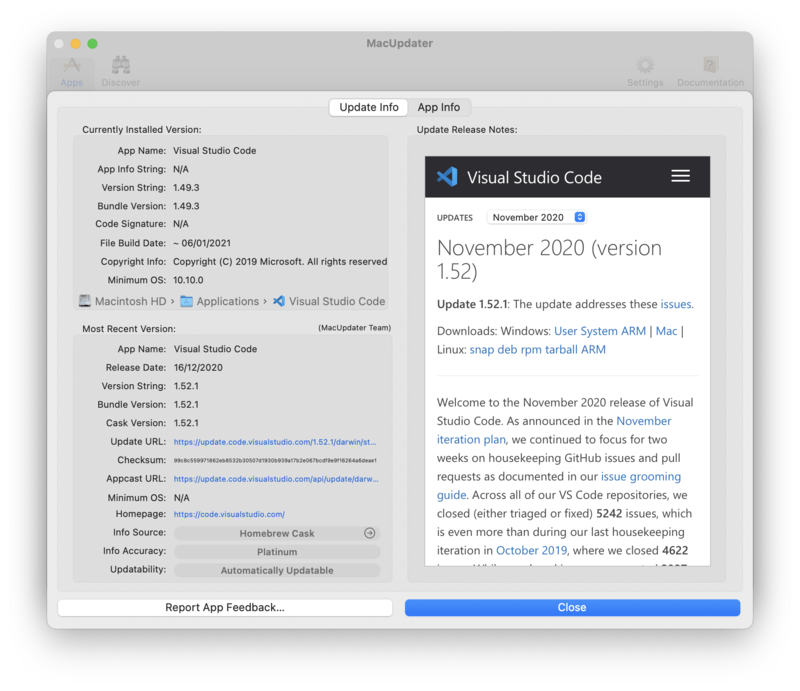 Launch our MacUpdater to see at a glance which of your apps are out-of-date. And with a simple click, you can update any outdated app. Don't waste any more time manually searching for updates, downloading, installing and cleaning up. Let MacUpdater take care of everything for you! 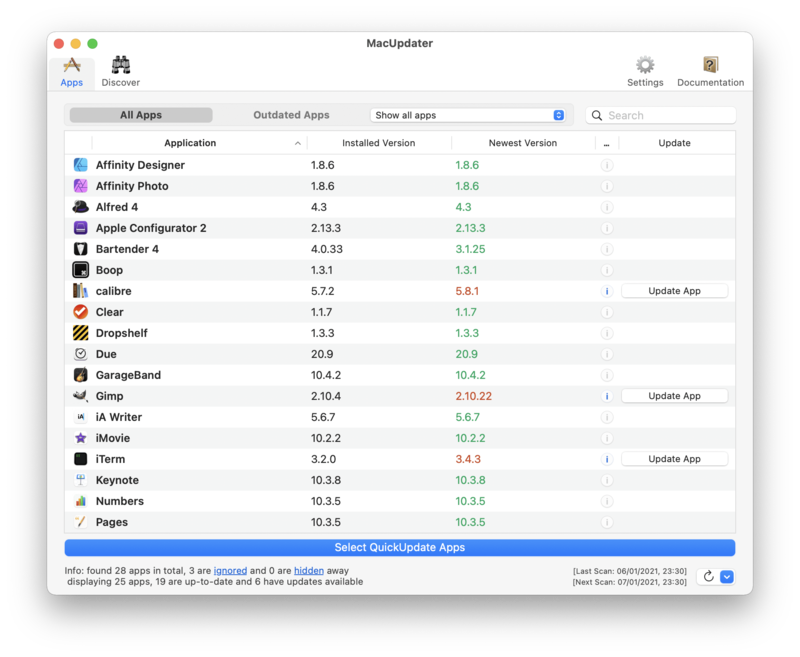 Nothing could be easier than finding out which of your apps are out-of-date with MacUpdater. Just launch it and let it scan your apps. You'll see a list of all your apps, and apps with updates are listed in red. There are filter-options to display just outdated apps or ignore apps from being updated. The MacUpdater database has information about the latest versions of more than 30.000Â apps (see FAQ). Updating apps could not be simpler - just click the "Update" button next to any outdated app and MacUpdater will update the app to the current version automatically. MacUpdater can silently run in the back-ground, check your apps for updates every day and let you know about new updates with notifications. 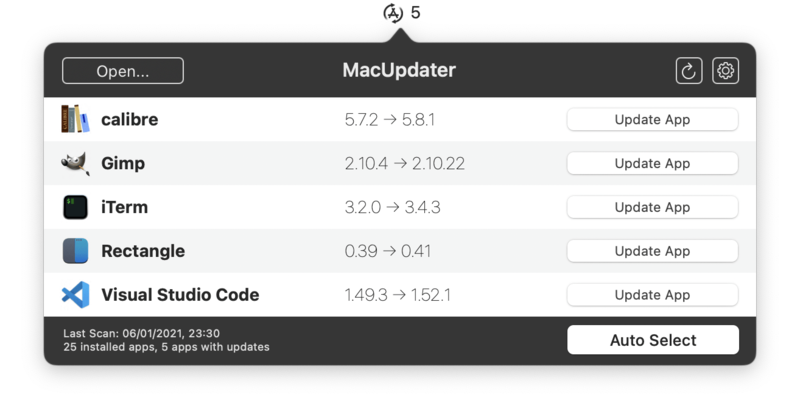 MacUpdater 1.x is a one-time-purchase, without any shady memberships, forced subscriptions or adhesion contracts. There is no need to sell your soul or to rob the piggy-bank to use MacUpdater. Just a simple one-time purchase costing 9.99$/â‚¬. And if you just want to scan your apps without updating them, it's even free! MacUpdater is licensed under a proprietary license and is a free download. You can scan for updates for free, and update 10 apps for free. However, to update more than 10 apps, you need to pay 9.99$/â‚¬ to unlock the full version. Click 'Contact Support' in-app for technical support. Unfortunately, the standard Mac-app listing website refuses to list MacUpdater, although they list all other 40.000 Mac-apps. It seems they are very afraid of us offering a better product at a fraction of the price.